Delivering to Melbourne weekly and most other areas on request. Direct door to door service for your convenience. 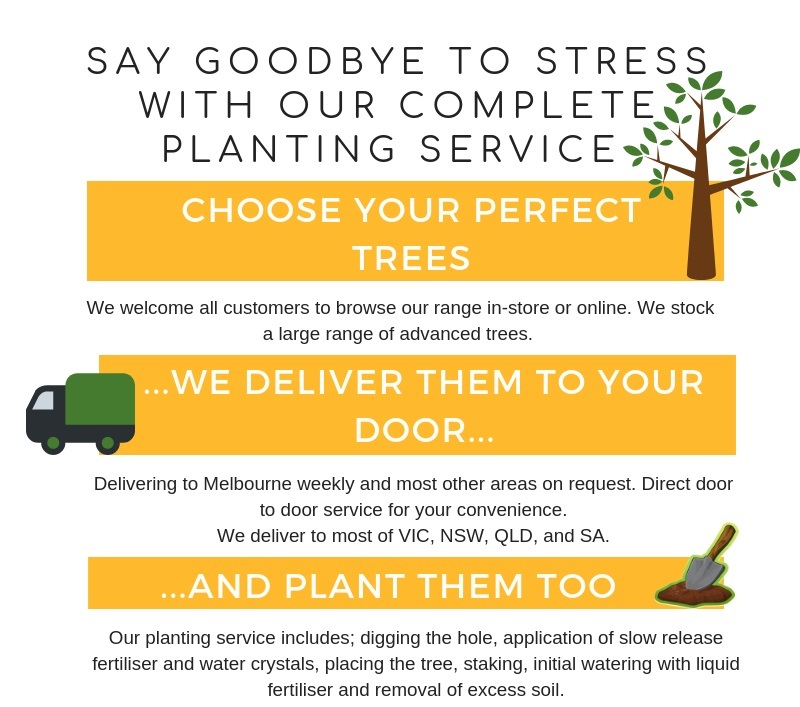 Buy trees online and have them delivered to your door. View our products and put together your ultimate wishlist. Contact us now by phone, email or online. Alternatively, come view our nursery for yourself to hand-pick your trees.